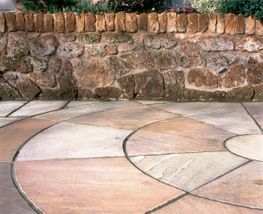 Cabinteely Patio Centre is now importing tufa rock from Italy. A volcanic material, tufa rock has a rugged and porous appearance and has been used for centuries to build dwellings and villages in the Apennines. 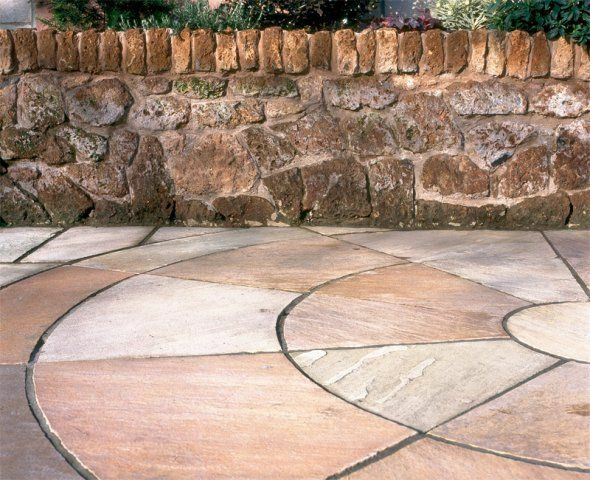 It is a perfect replacement for old railway sleepers in raised flower beds, but it is also ideal for use in stone walls, rockeries and water features. The imaginative use of natural materials in garden design is limitless. 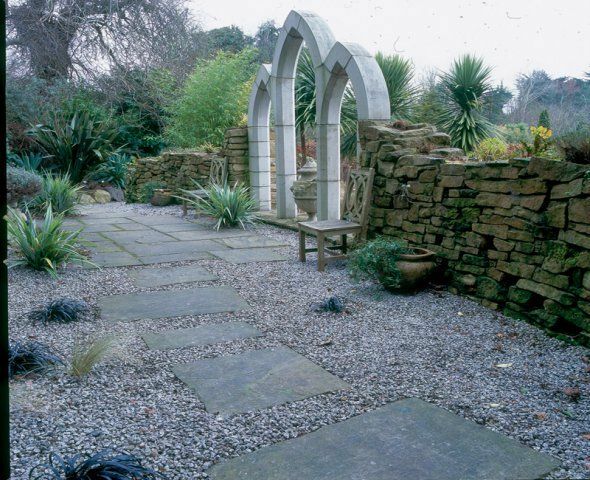 This gothic archway with natural Indian sandstone walling on either side provides an authentic time worn patina, recapturing the romantic atmosphere of antique ruins.